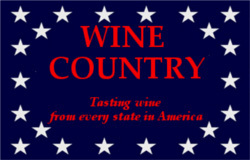 What started as an idle thought - “can I taste wines from all 50 U.S. states?” - has become a personal mission. 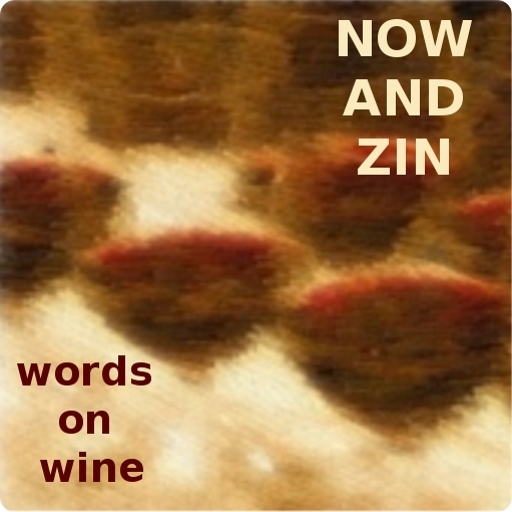 Now And Zin’s Wine Country series debuted nearly two years ago, and we’re just over halfway there. Now And Zin’s Wine Country started with a series about wines made from America’s Norton grape, in which I sampled wine from Missouri, Virginia and Georgia for the first time. I was surprised by the quality and fascinated by the notion of wine tasting across America. If you can make good wine in California, that's expected - it’s what you’re supposed to do with great soil and perfect weather. Making good wine in areas of the country where nature isn’t quite as accommodating is a real achievement. I’ve sampled mead from Montana and Maine, Muscadine from Alabama and Kentucky Cabernet Franc. I’ve had a Super Tuscan-style blend from Arizona, mile-high wine from Colorado, amazing bubbles from Massachusetts and Michigan, Zinfandel from Nevada and New Mexico, New York Riesling, New Jersey Merlot and North Carolina Chardonnay. I’ve tried wine made from Vermont apples, Florida blueberries, North Dakota rhubarb and West Virginia blackberries. There have been plenty of unexpected grapes, like Petit Manseng from Georgia, Carménère from Idaho, Traminette from Indiana, Eidelweiss from Iowa, Marquette from Minnesota and Catawba from Pennsylvania. Two Nebraska wines are named after pelicans; a South Dakota winemaker uses Petite Sirah to take the acidic edge off the Frontenac. There’s Touriga Nacional growing in Tennessee. Most of the wines for this series have been supplied by the winemakers for the purpose of the article, while some have been sent by friends of mine who had travel plans to a state I hadn’t yet tasted. To all who have sent wine for this project, I offer my heartfelt thanks. At this writing, 27 states have been included, so I may be at this for some time. I hear that some Washington state Rhones are on the way, and a Delaware winery is looking into their shipping permit. Aah, shipping wine in the United States. That has proven to be a stumbling block more than once so far. Contacts made in Arkansas, Illinois, Kansas, Maryland, Ohio, Utah and Oklahoma dropped out of sight, while responses are hard to come by at all from Alaska, Hawaii, Wyoming, Connecticut, Louisiana, Mississippi, Rhode Island, South Carolina and Wisconsin. I am sure for some of these states, I’ll probably have to find someone who makes wine in their garage. Any Mississippi garagistas out there? While we are on the subject, if you know a winemaker in any of the states which haven’t been covered in Wine Country yet, please pass this article along to them. Even if they can’t ship to me, I’d love to hear from them. Also, one state which has been left blank is California. Of course, I sample a lot of California wine, so finding it isn’t the problem. I want to determine one wine or winery which is representative of California for this series. If you have any thoughts, I’d love to hear them. Comment here, email nowandzin@gmail.com or contact me on Twitter.